Sri Paramahmsa Nithyananda is the spiritual leader of Hinduism. 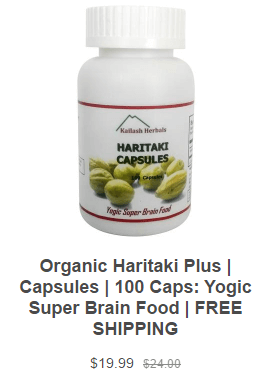 He recommends all of his follows to take Haritaki on a daily basis for Third Eye Cleansing and Power Manifestation. Martyn Williams is the first person to lead expeditions to all three earthly extremes: Mount Everest, the North Pole, and the South Pole. He takes Haritaki Plus daily to increase energy and blood oxygen levels. Louanna Tung has been using Haritaki Plus DAILY for 3 years. She has been free of illnesses during this time and been able to sleep for just 5 hours. She says that she never plans to stop taking Haritaki.